Convicted murderer Freddy Tellez is still arguing for judicial reconsideration of his prison sentence, even though his petition for post-conviction relief was dismissed in October in Blaine County 5th District Court. 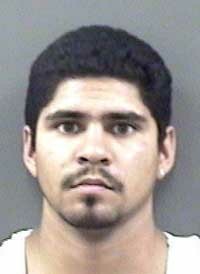 Tellez, 21, is also asking for withdrawal of his guilty plea on a charge of second-degree murder. He was convicted of the crime in 2008 and is currently serving a 24-years-to-life prison sentence for the murder on Aug. 17, 2007, of his former girlfriend, Margarita Guardado, who was then a 16-year-old student at Wood River High School. Tellez filed his petition for post-conviction relief on Sept. 30, but Judge Robert J. Elgee ruled on Oct. 20 that he had missed the filing deadline of May 5. According to Idaho judicial rules, Tellez had 20 days after the dismissal to try to have it reversed, and on Nov. 9 court-appointed defense counsel Cheri Hicks filed a motion asking Elgee to reconsider the decision. Hicks wrote that her client should be granted an extension for filing because Tellez, an Idaho state penitentiary inmate, did not have access to legal assistance or information. Elgee has granted Hicks additional time to prepare legal ammunition for her arguments and has scheduled a hearing on the matter for Jan. 23. An affidavit, apparently handwritten by Tellez, is attached to Hicks' motion for reconsideration. In the affidavit, Tellez explains that he is a U.S. Hispanic citizen but that English is still a second language for him. He further wrote that he has only eight years of formal education and "no knowledge or training in the law." He stated in the affidavit that the prison where he is housed has no law library or information pertaining to post-conviction-relief proceedings, nor was he provided legal assistance. Tellez wrote that the only assistance he was able to get was from another inmate. Tellez was 17 when Guardado was killed by four blows to the head with a hammer near her home on Mountain Ash Drive in the Woodside area of Hailey. Tellez has argued in his post-conviction relief petition that he should have been tried as a juvenile, that he was "coerced" into pleading guilty and that he had ineffective legal counsel during the murder case proceedings.